The Sanjay Leela Bhansali directorial Padmaavat that was slated to release in December last year ran into immense trouble with the Rajput Karni Sena taking an objection to the film. As per the Karni Sena, the Ranveer Singh, Deepika Padukone and Shahid Kapoor starrer went against history and did not show the Rajput valour correctly. Following protests from this group, the release of the film was stalled only to release in January amidst tight security with a few locations opting not to screen the film at all. However now a week after its release, the Karni Sena have finally given Padmaavat a clean chit, stating that the film glorifies Rajput valour. On Friday, the Karni Sena finally announced that it has decided to withdraw its protests and accept the film as it is. The protests that started off in January 2016 with Sanjay Leela Bhansali being assaulted on sets of the film in Rajasthan escalated to demands for the director’s head. In its announcement on Friday the Karni Sena’s Mumbai leader Yogendra Singh Katar stated that on the directions of organisation’s national President Sukhdev Singh Gogamadi, a few members watched the movie in Mumbai on Friday, and found that the movie glorifies the valour and sacrifice of Rajput and every Rajput will feel proud after watching the film. 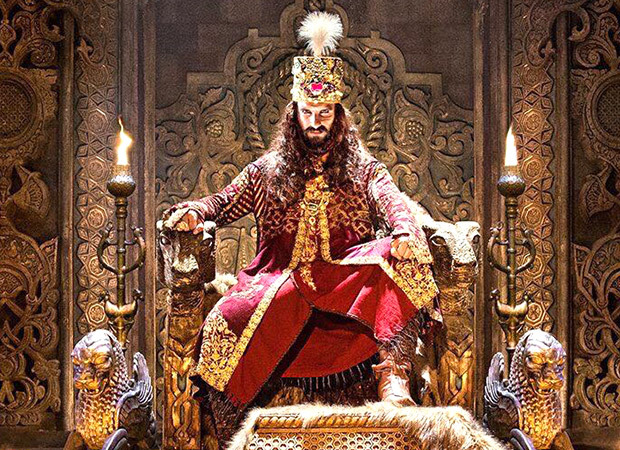 Further talking about the reasons for the withdrawal of the protests, Katar added that there were no objectionable scene between Ranveer Singh’s character Alauddin Khilji and Deepika Padukone’s character Queen Padmini of Mewar that could hurt the sentiments. If that wasn’t all, Katar added that the Sena would help the administration to release Padmaavat in Rajasthan, Madhya Pradesh and Gujarat as well as across all cinema houses in India. Padmaavat that also stars Jim Sarbh, Aditi Rao Hydari in prominent roles released worldwide on January 25. SRK’s Kolkata Knight Riders In A Documentary Film Now!